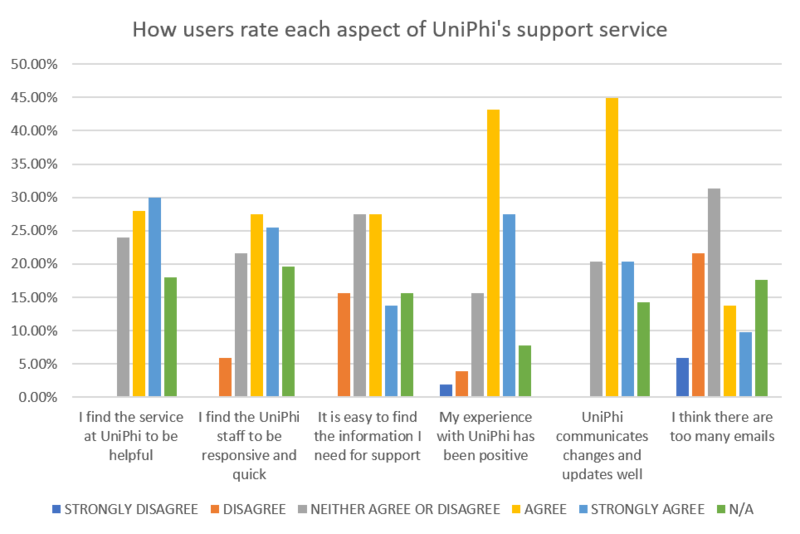 At the end of last year we sent out a survey asking users what they thought of the service we provide at UniPhi and what they thought of our support and communication networks. 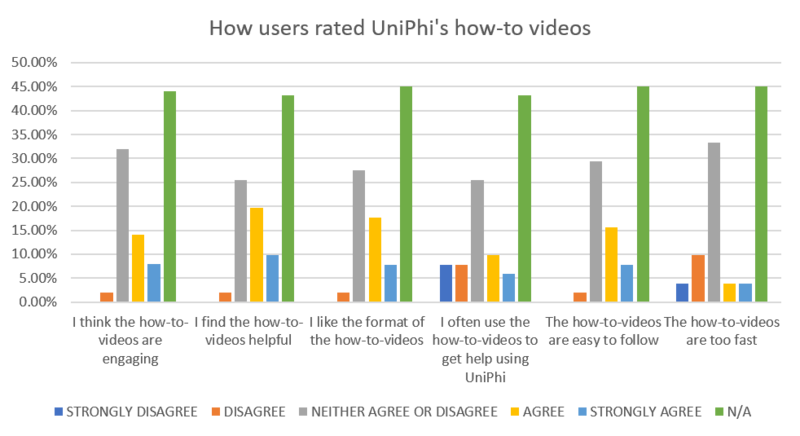 We wanted to find out how users use and get help in the use of UniPhi and what they thought of the different avenues of support we provide from webinars to how-to-videos to one-on-one consultations. We a very grateful for the great number of responses we have received as it has given us a lot of valuable insight into how our users get help, what they think of our support and communication networks and most importantly how and in which areas they are satisfied or dissatisfied with. What we found with how UniPhi is being used, is that unsurprisingly, the majority of users access UniPhi from a PC (78%). 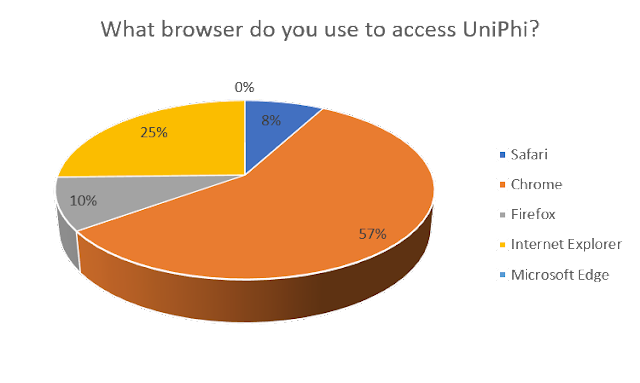 Mobile and tablet, were however, an unpopular way of accessing UniPhi. This may have to do with the fact that that users work mainly from an office and desktop space or because until recently, it was not optimized for mobile screens. Hopefully with the recent release of UniPhi 14 and its screen optimization we will see changes in how people access UniPhi, with more of them opting for tablet or mobile. We also found that Chrome is the browser of choice with 57% of users opting for it, followed by Internet Explorer, which was mentioned in comments to be the default IT policy choice at certain workplaces. Interestingly, nobody uses Microsoft Edge by choice but despite that, we will continue to test updates on all platforms and make sure UniPhi runs smoothly across all browsers. 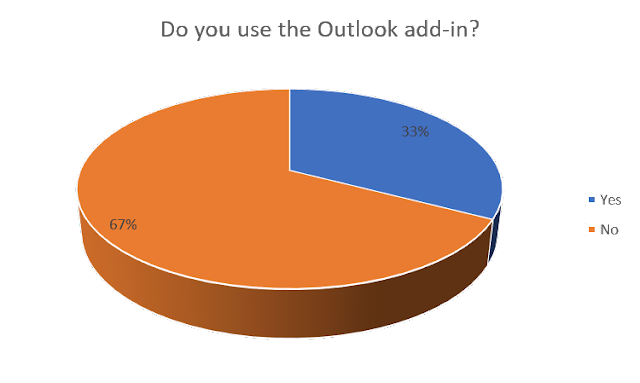 Surprisingly 67% of respondents do not use the Outlook add-in, which comes as a shock to us here at UniPhi as we use it ALL the time and so it begs to question why not? Unfortunately we did not have a comment section to delve further into this, but we can speculate that either they do not receive emails relevant to their work in UniPhi and/or do not know about the add-in. Seeing as the majority of users previously stated that they access UniPhi through a PC, it does not come a surprise that the majority do not use the mobile app. What is surprising is that there is relatively the same percentage of users who did not know it existed (15%) as there are users who use it (16%). This is quite important information for us, as it lets us know that there is work to be done in educating users about what add-ons we have out in the marketplace. In-house super-users were the most used avenue of support (22%) closely followed by one-on-one consultations (18%). We are pleased to see that we do have super-users at our various deployments who are clearly doing a great job in supporting other users and are one of their main ports of call! We found that our website support portals were the least used avenues, with only 2% using the online Forum, 5% accessing the website Get Help page and 6% using support tickets. Clearly when it comes to getting help, human support is the clear winner. 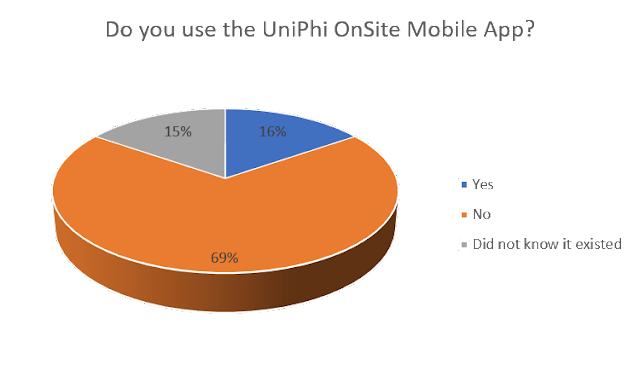 Overall users have found the UniPhi staff to be responsive and quick and for the service they provide to be helpful. 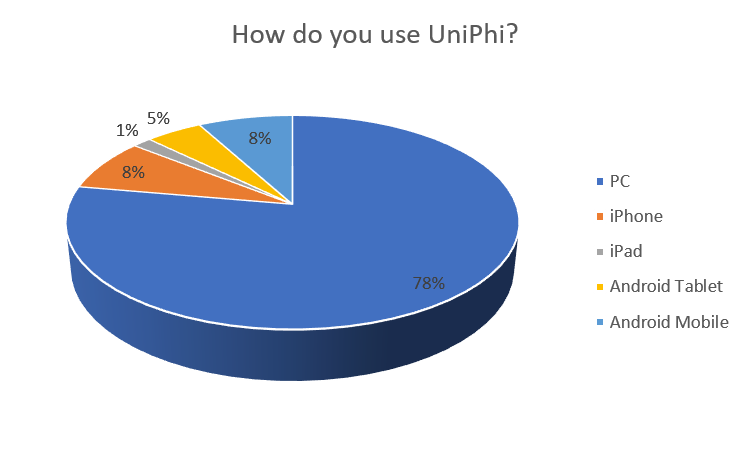 We are also happy to hear that an overwhelming majority of users have had positive experiences with UniPhi (43.15% agreeing and 27.55% strongly agreeing) and overall users seem happy with how we communicate changes and updates with them. Whether information needed for support was easy to find or not was a mixed bag of agreeing that it is easy and a neutral neither agree or disagree. This combination of responses with how people get help, leads us to the conclusion that we can perhaps do better in letting users know how, where and what kind of support materials we have, particularly with regards to our online support (how-to-videos, Get Help page etc). This lack of awareness of our various online support options ties into our feedback about the how-to-videos as a lot of people replied N/A or neither agree or disagree for this section of questions. 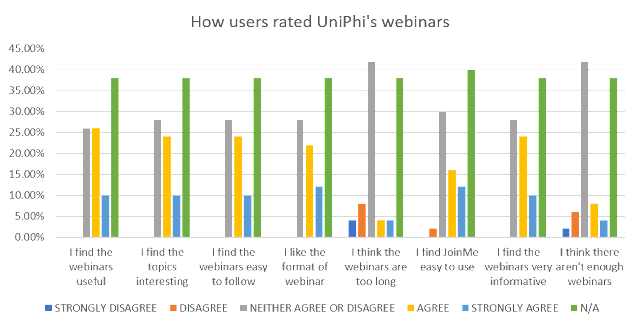 We can therefore conclude that not many users know of their existence on our website or YouTube channel, especially as several respondents commented so. 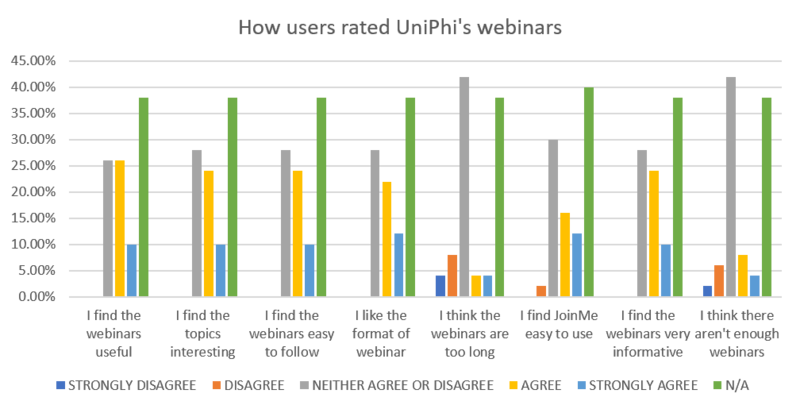 Generally, most users who have viewed a webinar were happy with the overall quality, ease of use, topics and usefulness. We also got a bunch of great suggestions for what our upcoming webinars should be, which is always a great help for us – especially when the idea bank starts to runs dry. 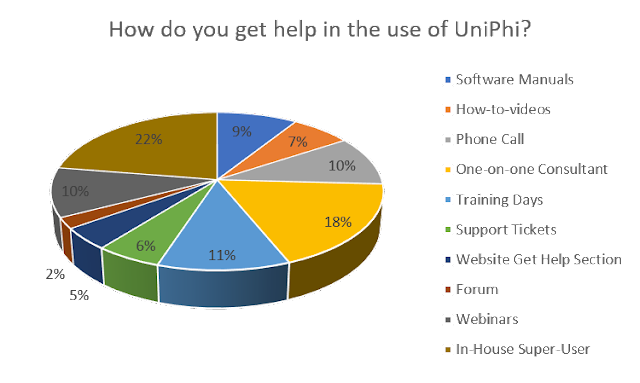 Overall, we were happy to find that most users have had a good experience with UniPhi and the service we provide. This survey has helped us identify which areas are working well and which need more attention. One such area is making our online support networks more known from the YouTube channel with the how-to video’s to the online forum and support section on the website. It is also always interesting to see how different users are accessing and interacting with UniPhi and good to know how we are helping support them and how we can continue to do so in the future. 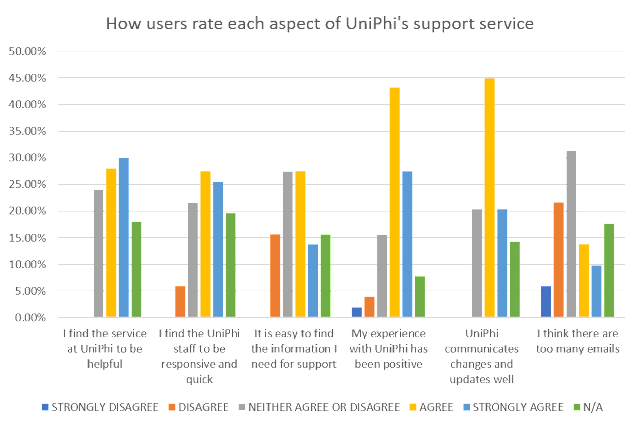 UniPhi 14, released in September, included expanded accounting integration with MYOB and Xero where invoices would be updated as paid when receipted in these systems and the organisations outstanding balance would be displayed. 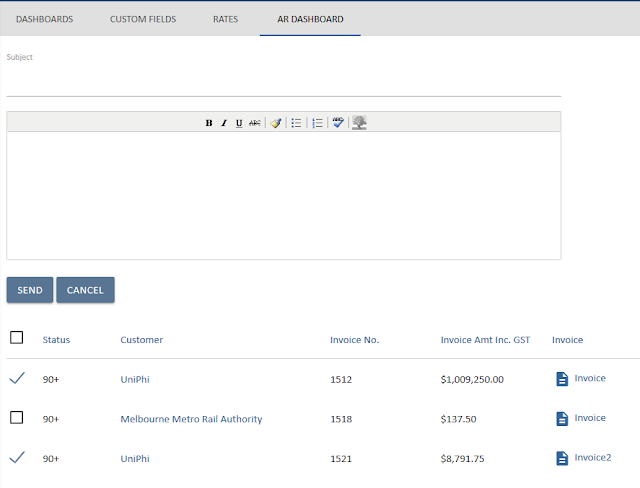 UniPhi 14.1 has expanded upon this, at request of our wonderful end users, to include an AR dashboard that shows all unpaid invoices and their ageing. It also includes cool bulk email functionality that allows you to send reminder emails to all, a filtered list or single invoice. 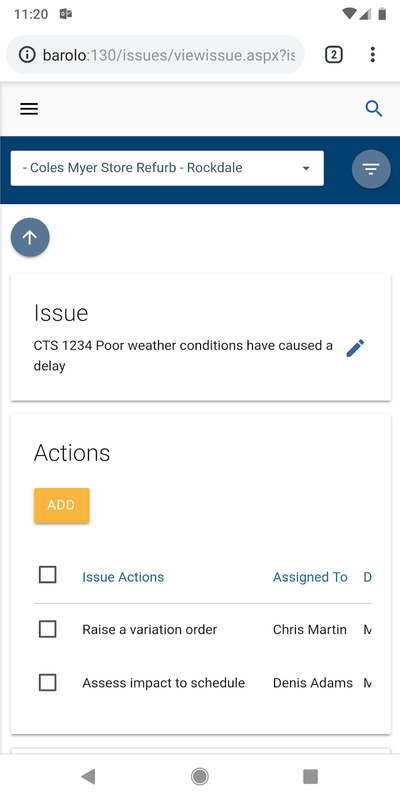 To access this new screen, all you need to do is go into the Resources module and select AR Dashboard from the sub-navigation. This new function allows users to view all invoices and filter based on how overdue they are (current, 0-30, 30-60, 60-90 or 90+ days). Bulk select invoices and email all unpaid clients in one go, straight out of UniPhi. Simply check the ones you wish to contact and write a standard email - no more individually emailing each client! To find out other new updates we have follow us on LinkedIn and Twitter! Our interface re-design released last year uses a wonderful CSS platform technology called Materialize. 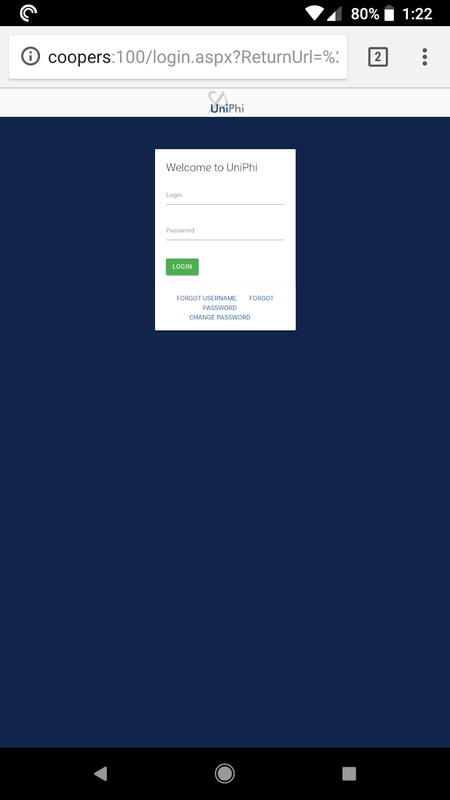 For those non-techy people, CSS provides the look and feel of the application. The wonderful bit about this platform is it provides for easy to code scaling of the application to different screen sizes. Unfortunately, being such a broad application, this still took a lot of time and money to implement and as we already had killer native apps (and still do) for iOS and Android, we held off making the changes....not any more! Clients can now look forward to login into UniPhi on any screen size and having it automatically scale text, buttons etc. To this much more user-friendly screen - no more having to manually zoom in and out of the screen to be able to login! This automatic scaling and formatting has been applied to all areas of the application. As you can see in the image below columns have been hidden. 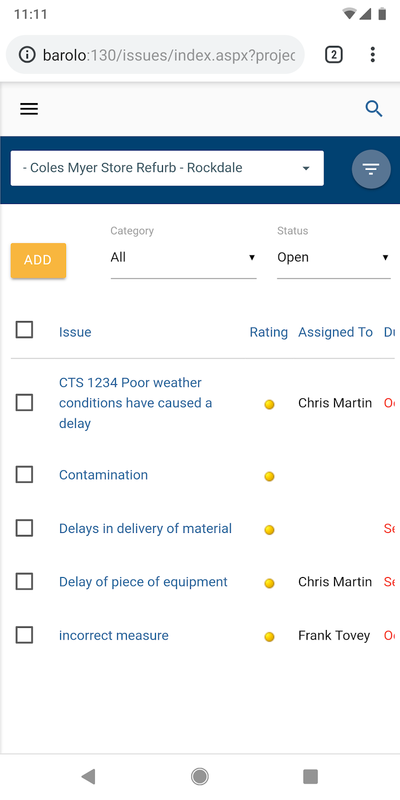 Only key information is now shown in smaller screens, making it quicker and easier to view, find and drill into the issue or information that you want. Additional benefits, to automatic formatting, are that now the search functionality is available in all screen resolutions, meaning the full functionality of the web browser is now available in any screen size. We will be posting all the new updates to LinkedIn and Twitter so be sure to follow us to keep informed on 14.1! Punching above our weight in support of Australia's infrastructure boom. UniPhi 14.1 is set for release on Wednesday and one of the cool little enhancements is a move away from file importing to copy paste importing. The benefit of this approach is the removal of the black box nature of the file upload. Many excel imports required tacit knowledge with regards to the named ranges used to import the data, the order of the fields and when they failed, required a lengthy debugging process to fix. Now, all a user needs to do is highlight the range of data they wish to import (even if this includes data not to be included), copy the range and then paste it into our new "Paste from Excel" window. The paste provides instant feedback with the end user being able to see what data will and won't be imported right after the paste action. In some instances, they can fix the data quality issue directly in the UniPhi excel paste window rather than going back to the source file. Columns not required are ignored. This last feature enables Project Managers to get better access to the transaction data making up their actuals as Finance departments are able to send them extracts in excel and this data can then be managed within UniPhi leading to its end financial reports being leveraged across the portfolio. 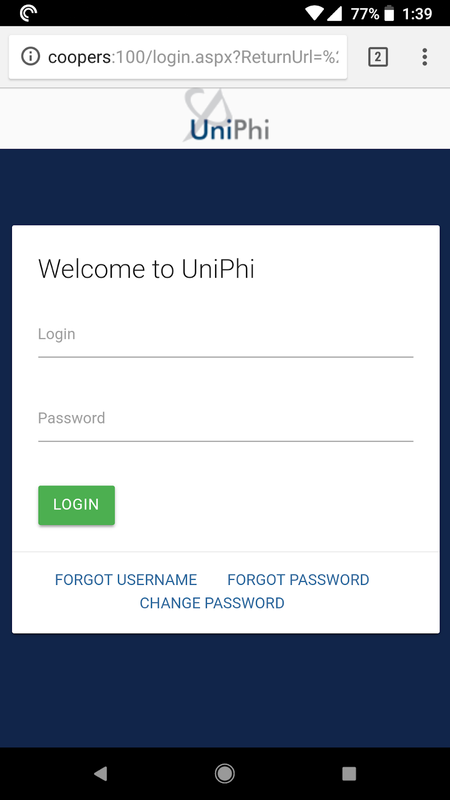 Follow us on linked in or twitter to get daily updates on this release and other UniPhi news.